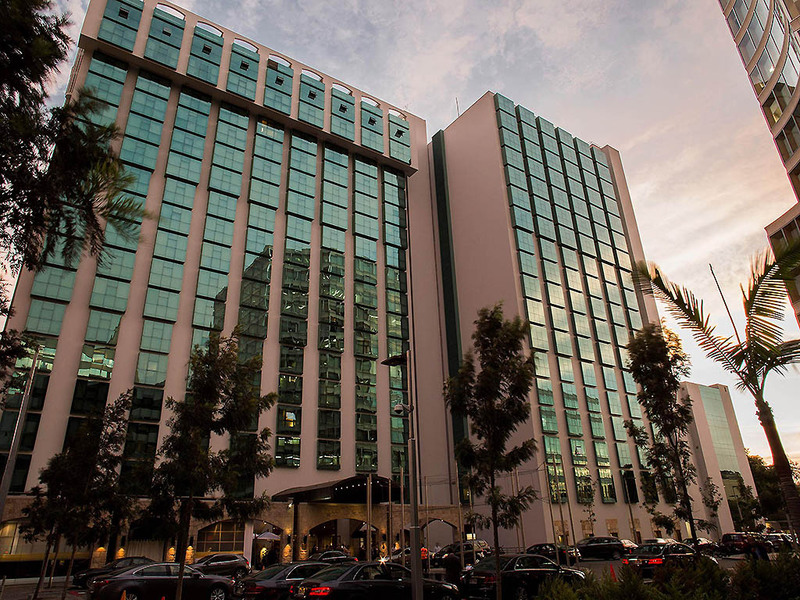 Swissôtel Lima is an excellent location in the heart of San Isidro, the main residential, cultural and business center of the city, within walking distance of Lima's historic center and 11 km from Jorge Chavez International Airport. This luxurious, elegant and modern 5-star hotel has a total of 345 rooms and suites, an Executive Lounge, 12 meeting rooms, 5 restaurants, a Lobby Bar, a gym, a spa and a luxury pool. Swissôtel Lima offers the best location inside the Financial Center with control security, becoming the perfect choice for dignitaries, members of the royal family and VIP personalities. Our rooms and suites have large marble bathrooms, minibars and coffee making facilities. In addition, we offer several pillow options according to the tastes of our guests. In the same way, the hotel has rooms for guests with physical limitations. Le Cafe is a fun and casual place for all occasions, offering delicious international and Peruvian dishes a la carte, and a wide selection of appetizing breakfast items and lunch buffets complemented by a daily changing lunch menu. Sushi Cage is more than a Japanese restaurant; it is an experience lived with the senses. Top chef Itamae Norio Takeda puts into his creations all his art, passion and skills to maintain the flavor and tradition of authentic Japanese cuisine. La Fondue brings the rich delicacies of Swiss and European cuisine to Lima, offering a broad selection of Swiss specialties such as traditional and creative fondues, raclettes, exquisite cheeses, meat or seafood all in a cozy chalet atmosphere. La Locanda serves the best Mediterranean and Peruvian fusion cuisine in Lima. With warm service, each detail has been meticulously attended to for an unforgettable experience. La Locanda also offers a great selection of desserts, wines and liquors. For a light meal or European-style pastry, visit our Gourmet Deli, offering fine homemade pastries, top quality chocolates, rich cakes, and delicate truffles. Sandwiches are made to your liking and served with juices or with a variety of coffees. A discreet, elegant meeting point for a quiet afternoon tea, with the perfect ambience for a drink before or after dinner. Enjoy a great variety of premium liquors and cocktails while listening to live piano music in the evening. Mycket hjälpsam och trevlig personal. Särskilt i reception och concierge. Allt var rent och snyggt och servicen som erbjöds vad toppen! Även frukosten var fenomenalt!